There is no denying it. It is the time of year where the training is tougher than ever. The winter is really showing its face on our part of the planet, and the snow is covering the Unisport Headquarters. 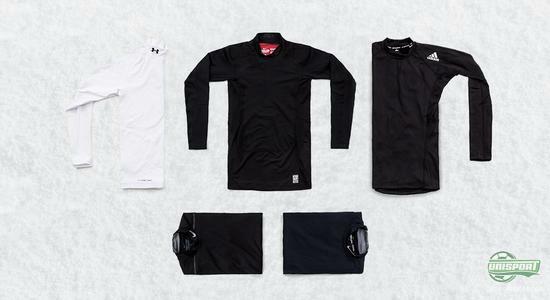 In a new campaign, we focus on the winter essentials, so you can keep training and beat the winter. Training throughout the winter can be tough and annoying at times, due to the cold and unwelcoming weather. But it doesn't have to be that bad; if only you have the right equipment, you can not only stay warm, but you can also get a huge advantage over your opponent. The key winter essential is a warm top. A perfect top for your winter training will keep the cold, and just as important, it will make sure to hold the warmth that you generate yourself. Furthermore, a good top also needs to make sure to wick sweat and moisture from your body so you don't get cold. To match the top you will of course also need trousers. 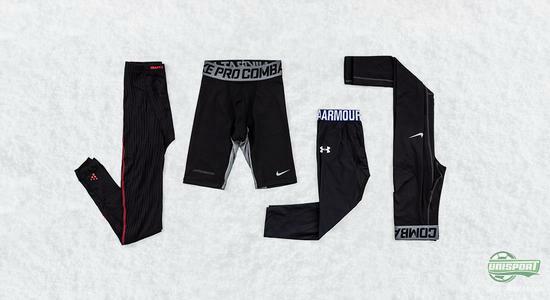 Again, it's all about staying warm and wicking the sweat from your body. But, it is just as important the the tights you pick provide great freedom of movement, so you will not be met by resistance or irritation when you are doing your magic on the pitch. The outer layer may be combined in numerous ways, but the most important is that you feel good and comfortable. A pair of gloves that help you get a good ball grip is a must when the temperature is not doing anything to help you. Just as a hat with good ventilation is essential, to keep your head cold, but not too cold. When your local pitch is covered in snow, your regular white football is naturally not gonna do the job. Therefore, it is a necessity to have a ball with colour that can really stand out. 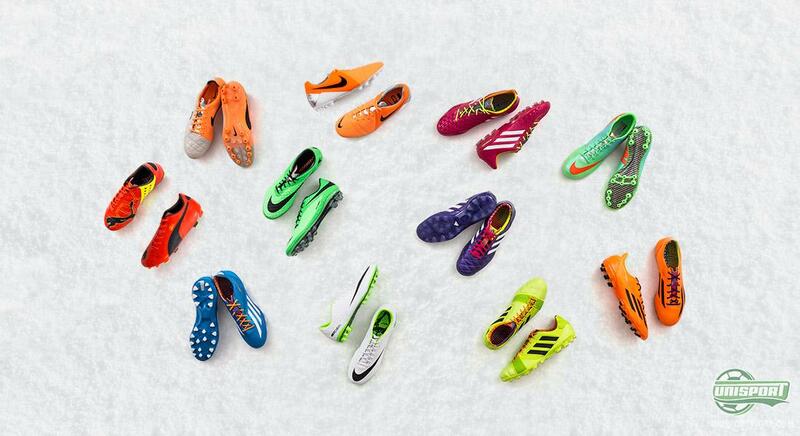 The last thing that your surely do not want to miss is a pair of football boots to fit conditions. For artificial grass pitches you wanna go for the AG football boots. They come in the same models and with the same advantages as the regular FG boots, but have been enhanced in order to better withstand the increased friction occurs between football boot and the artificial grass pitch. 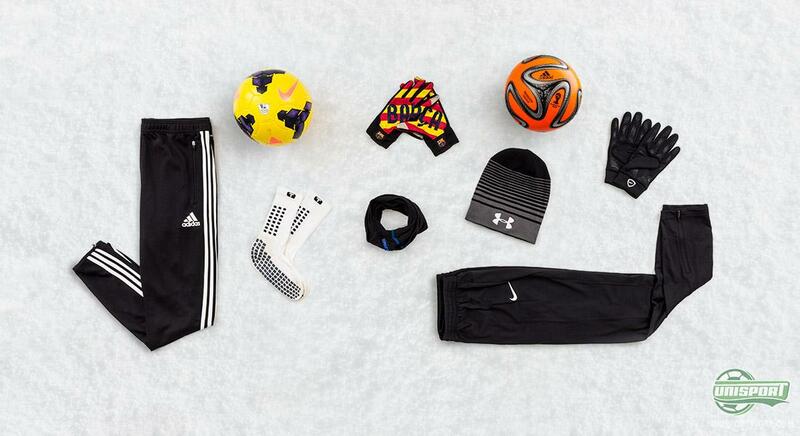 Here is a selection of products that we believe are most important for your winter training. Are you keeping fit over the winter? And which product is your favourite? Share your thoughts with us here, or on Facebook and Twitter.